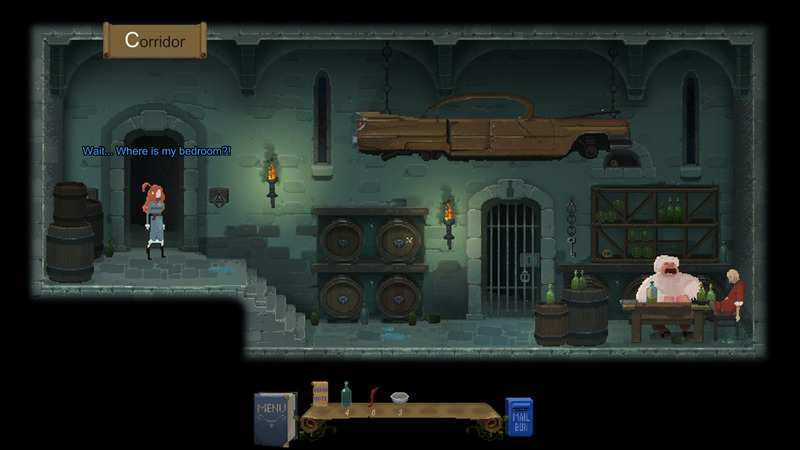 "A quirky and hugely enjoyable pixel art adventure." Lost in Bardo is a beautiful pixel art adventure game set in some kind of grand medieval castle where you play as a young woman, you will meet many colorful characters along the way, the text and the dialogue is wonderful and it’s hard not to fall in love with such an enjoyable adventure game. Sometimes it can be a little unclear as to what you need to do to progress in the game but these is one of very flaws in what is overall a hugely enjoyable experience especially if you are looking for some adventure that is a bit different and a bit quirky, this is the demo so you only get to play the first chapter but working out how to move on should keep you occupied for a while and you may even have to make some soup! Lost in Bardo’s pixel art looks fantastic in a charming retro way and the whole experience is thoroughly enjoyable especially if you are looking for a game you can just relax and enjoy, without the worry of monsters or people with guns for a change! You can download the Lost in Bardo demo here for free.